Imagine if every person gave a gift this Christmas to a “silent guest,” one of the world’s hungry. During Christmas 1947, Americans did just that, continuing the successful “silent guest” program started in Thanksgiving of that year by a former aspiring actress named Iris Gabriel. People imagined a “silent guest” at their holiday meal, and donated the cost of the imaginary food plate to buy a CARE package. These packages fed many thousands in countries overseas rebuilding from World War II. This Christmas Eve a company called Edesia will be making packages of plumpy’nut to send to the African nation of Chad. Food is out of reach for the many poor in Chad, a country where drought and conflict have taken their toll. The smallest children pay the heaviest price unless the outside world intervenes with foods like plumpy’nut. Plumpy’nut is a special package of food that saves infants from succumbing to dangerous malnutrition. There is no more important gift these children can receive. Edesia accepts donations so you can help them fill this plumpy’nut order to Chad.One dollar actually buys several little packages, or sachets, of plumpy. 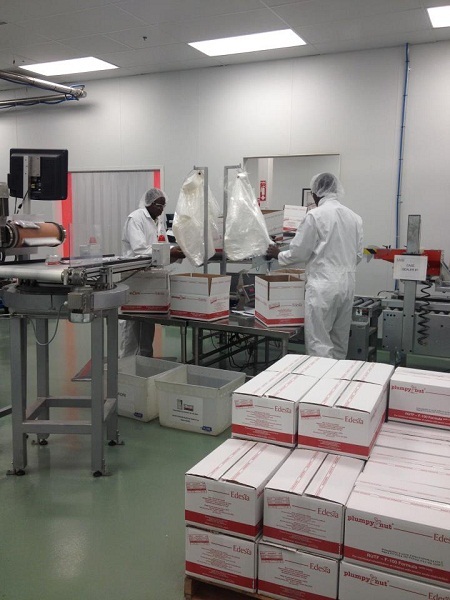 Their plant has also produced this peanut paste for East Africa, Yemen, Guatemala, Haiti and Pakistan. Aid agencies like the World Food Programme, UNICEF and others distribute the plumpy’nut in these countries.You can make “silent guest” donations to these organizations at their respective web sites. There are also ways you can feed a silent guest simply by playing on your computer. If you play the online game Free Rice, 10 grains of rice are donated to the hungry every time you get a correct answer. The rice is paid for by advertisers on the site. There are many ways you can give a holiday gift to a silent guest at your holiday celebration. Happy Holidays! See also Commentary in the San Francisco Chronicle: What you can do today to help end world hunger. Article first published as This Christmas Feed a Silent Guest and End World Hunger on Blogcritics.